How to update the firmware of HUAWEI E3276 and E392? 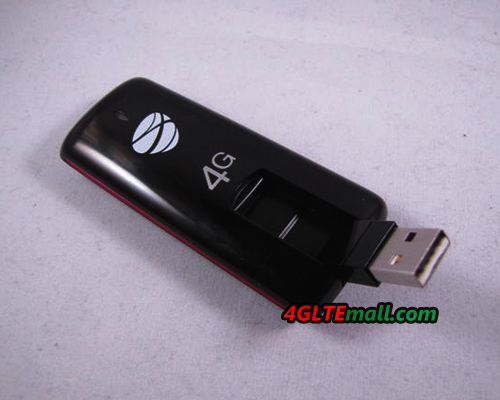 When more and more users are enjoying the 4G LTE speed via 4G LTE Surfsticks, someone may face the problems caused by the 4G LTE modems. 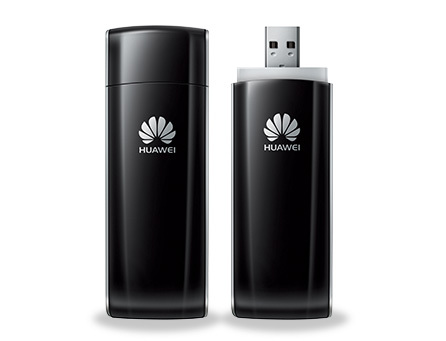 As one of the most popular surfstick, HUAWEI E392 is used by many operators in many countries. 3. Make sure your computer is not connected to the internet. 6. Disconnect the USB modem from the computer and plug it again. Use the USB input as before. This update method and software is also usable for HUAWEI E398 and HUAWEI E3276 4G LTE Surfstick, so if you want to update your HUAWEI 4G LTE Modems, you can use the software and guide. 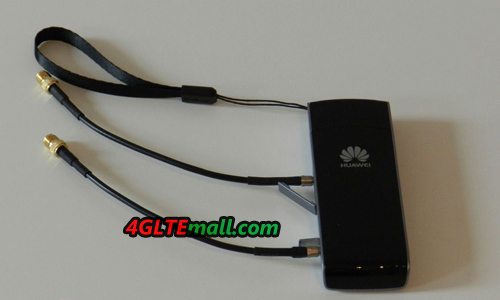 As one of the first group of 4G LTE USB Modem, Huawei E397 LTE FDD USB modem is not as popular as Huawei E398 or E392, perhaps because Huawei E397 supports the 4G frequency bands which are not commonly deployed by the operators. 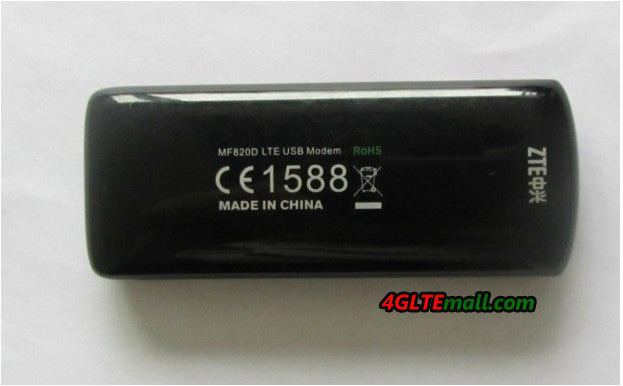 Just like Huawei E398 4G LTE TDD FDD USB modem, there are also many variants for Huawei E397 4G USB modem, such as HUAWEI E397u-56, E397Bu-7, E397Bu-501, E397u-53 etc… Today, we get the Huawei E397 4G LTE modem in “Cricket” logo, it was customized by the operator cricket, but it’s already unlocked and SIM card free. In the original box, the Huawei E397 looks cool. After open the box, we can see the Huawei E397 in compact design. In the back stick, the information indicates that this is the variant model Huawei E397u-53. And we can see the IMEI number of Huawei E397, code and made in China. The USB of E397u-53 is in the body of the dongle, there is a movable button to cap it, users need to pull the button out and the USB would automatically flick out. The USB could rotate around 180 degrees. On the other side of the body, we can see the body logo “Cricket”. At the side of the body, there is one hole for external antenna, one plastic cap covers the hole, user need to use finger to open it. At the other side, it’s the SIM card slot. So in this model Huawei E397u-53, there is only one external antenna connector for pigtail. Per the information on the Internet, Huawei E397u-53 could support 4G LTE band 13(700MHz) and Band 20(800mMHz). So the HUAWEI E397u-53 would be more possibly usable in North America because the band 700 is the most common 4G Frequency in North America, especially in USA. What’s more, E397u-53 also supports 3G HSPA+ network 850/1900/2100MHz, which is for American bands. 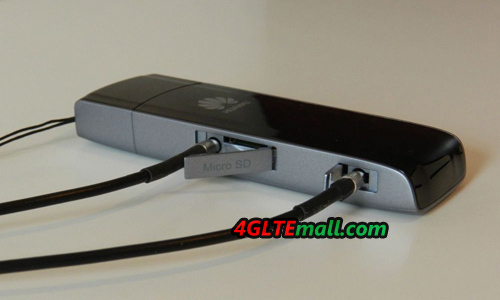 The HUAWEI E397u-53 could also support extended 32GB Micro SD memory card, like other HUAWEI 4G USB Modem, it’s compatible with the usual operation system, Windows and Mac. If you want it to work with Linux, there must drive upgrade. 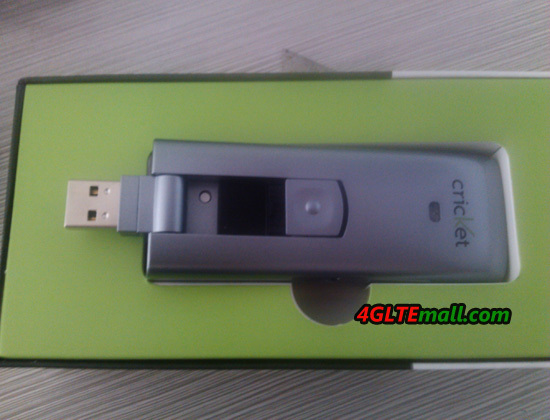 If you want to buy HUAWIE E397 4G LTE USB Modem, welcome to shop from www.4gltemall.com . We received Sonera’s 4G USB dongle ZTE MF820D some time ago, so we decided to take a closer look clear what 4G is capable of. The timing is better now because the network is better and unlike a year ago. The stick ZTE MF820D itself is quite slim, and fortunately the drive manufacturer ZTE, has equipped the device with comfortable compact design, so stick may be a usable position also signed two USB port HP despite the fact that the second port is connected to a USB mouse receiver. This is a big plus, for example, ZTE MF820D could be change to another side if there is no enough space between two USB ports. And it would be hard for HUAWEI E392 4G TDD FDD Compact Stick to do this. When the stick ZTE MF820D plug to PC, it starts Mobile Broadband application installation automatically. This is usual steps for all USB sticks, and it’s very nice that the installation is easy and seamless. Finding a network available seemed insanely slow, and before your stick found a network, it would take several minutes. This is a little bit disappointing, especially when we are trying the very fast networks. 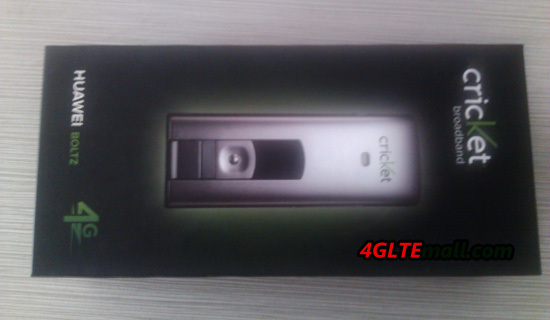 After find the network, we started to test the speed of this 4G LTE stick. On the positive side were low pings, only HSPA+ network is usable, pings were about 40-50 ms range, which is enough to start playing in some degree of well. Our office is in connection with the auto setting up a HSPA+, but even in practice, the data was transferred to a single channel speeds of truly commendable and we received 10 test average of 14.38 Mbit /s and the top result of 17.85 Mbit/s for download. The upload speed of the average, is 2.1 Mbit/s and a peak speed of 2.5 Mbit/s. Then we let the ZTE MF820D 4G stick increased to 4G, by setting the network to “only 4G”, although the rates of test sites were weaker than HSPA+, respectively. 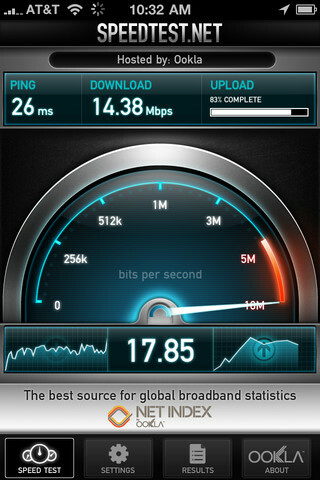 It is only when we moved to the other side; we got to DC-HSDPA speeds. This is probably due to the fact that the test bench side of the base station Sonera does not support DC or LTE speeds and 4G speeds were forced into two within the post due to a low level. Only one side of the house, we got full use of poles, the speed increased commendable level. Speed tests average came now 30.68 Mbit/s, and the outside lane for outbound 19.01 Mbit/s with 30-40 ms level. Despite the fact that Sonera’s map, the office is “true 4G” in the region, these speeds were still better than DC-HSPA+, so the “real” about 4G was not yet in sight. Thus, we had to leave the sea to fish farther, to find the right 4G network. So we packed our drive and the laptop in the car and we went to a place the Finnish phone manufacturer’s parking lot in the vicinity of which would certainly be an LTE base station. When we got to the scene, we immediately started to run speed tests and speeds up comfortably. 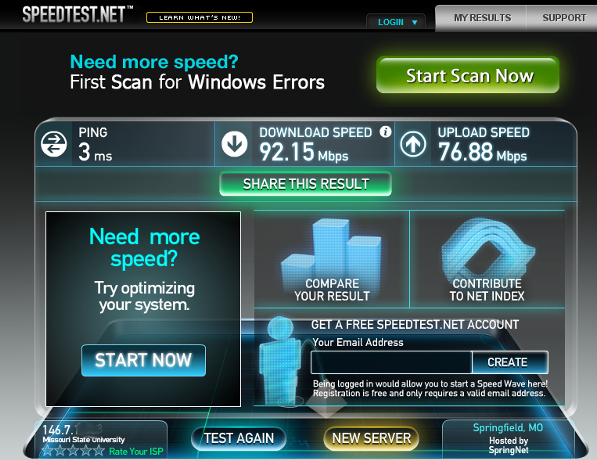 Now, we average the resulting download 68.73mbps (peak 92.15 Mbit/s) and outgoing 33.25mbps (peak 35.54 Mbit/s). We also tested the speed by download a file from ftp.4glterouter.de, and this became the fastest machine 7.5 MB/s and 729 MB download size took a total of 3 minutes and 22 seconds, so the average speed is 3.3 MB/s. While the 100 Mbit/s speed was missed, offering a 4G stick speed is found near the base, while maintaining strong coverage and interference. This is especially appreciated by those who transfer over the Internet to a lot of large files and multimedia. 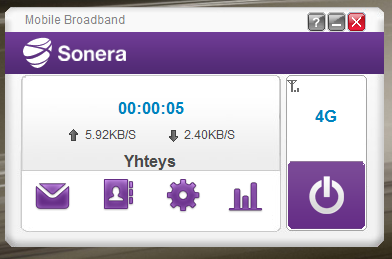 However, it’s usually hard to get the peak download speed to 100Mbit/s. At this early stage, I would see myself DC-HSPA+ to bring the best value for the money until the LTE network is properly spread in all population centers even though the DC-HSPA+ seems slow at the beginning, the speed can always upgrade by calling your operator’s customer service. As the results, it can be concluded that the 4G functionality of a 4G stick is strongly location-dependent and although the operator’s coverage map promises 4G speeds, this does not yet mean that the broadband speeds that reached the desired level. Before you purchase, it’s better for you to take a stick to test first, which many operators offer. 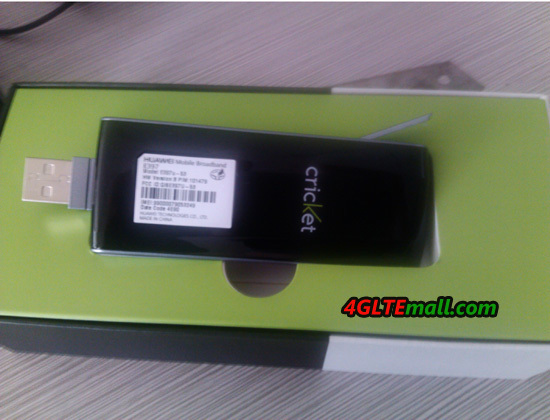 It is the easiest, then select the contract, or buy unlocked 4G dongles from www.4gltemall.com which certainly offers a sensible value for the money. 4G LTE modems are more and more popular, when users experience the new technology; they also face the problem about setting the new dongles. Actually, it’s not difficult to set a 4G modem. 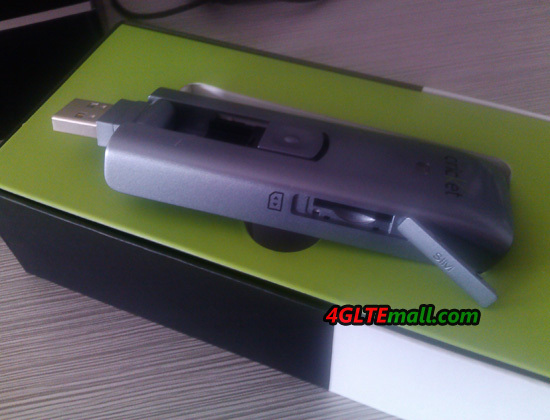 Today we will have a short introduction of how to set up Huawei E392 4G LTE FDD TDD Surf sticks. 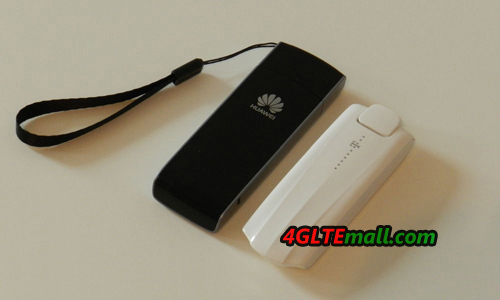 Huawei E392 is the most popular 4G LTE dongle all over the world, that’s why we choose this modem. First step, users must install the software- named Mobile Partner, to PC. For different operators, the version of Mobile partner may vary, but basic functions are the same. If there is already Mobile Partner, it’s better to uninstall it and reinstall the new. Of course, I mean the first time you use the 4G modem. Secondly, after the drivers are installed to PC, it’s time to set up the modem. Sometimes, the mobile partner may cannot detect SIM card or detected the SIM card is invalid, you need to switch out the E392 Modem from the PC and pull SIM card out and Re-plug it. Usually, it’s due the slow reflection from PC. The 4G software is configured with many new technology of data transmission, when it runs, it may cause the PC system run very slowly. After the Mobile partner detected Huawei E392 and the SIM. Now click the head column “tools”, there is “Options”, then you can see there are “General”, Text Message, Profile Management and Network. Then set this profile as default and Click “OK”. Next step, click Tools– Network. There are 4 options in the dropdown-LTE only, WCDMA only, GSM only and Auto. If you are using 4G SIM card, you can choose “LTE only”, the other 3 options are also usable. But if you are using 3G card, “LTE only” is not workable. Usually, choose “Auto” is good to choose because the modem will switch automatically for users to choose available fastest speed. If the fastest network disconnect, the mobile partner will switch lower lever network and auto connects so that users could keep surfing. After choose the network, click “apply” and “ok”, then back to home Manu. Click “Connect” button. You can easily get connected with network and access to surf. 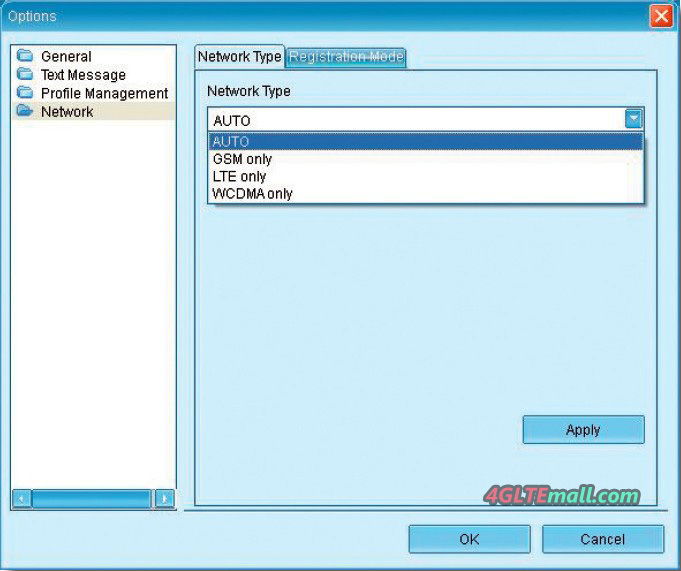 This setting method is also applicable for HUAWEI 4G LTE USB Modem such as E398, E397 etc…So if you are in trouble using your HUAWEI 4G LTE Dongles, you can follow the steps to get 4G networks connected. Previously, LTE sticks always available with branding and software of the large mobile operators Vodafone, O2 and Telekom. These sticks are printed externally with a logo of the network operator and the preinstalled software can often allow only certain SIM cards into the slot. 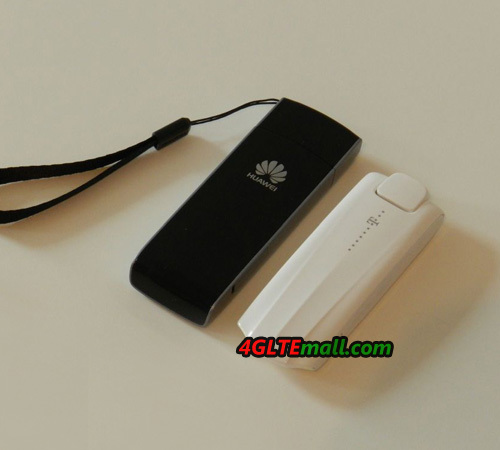 Nowadays, Huawei E392 4G LTE Surf stick on the market can easily be used with any carrier and not tailored to a particular provider. The scope of delivery is only a small strap and some instructions. The wrist strap is also attached to the stick and on the cover for the USB port, thus preventing that the cover is lost. 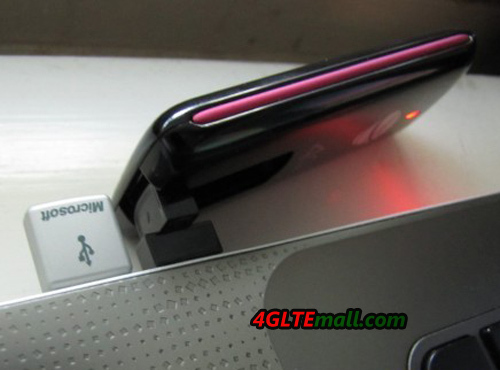 Overall looking, the Huawei E392 4G LTE Modem has quite large and bulky for a surf stick, which is certainly the fact that the USB port is not rotatable. The Huawei E392 can be run on both Windows and Mac OS X. 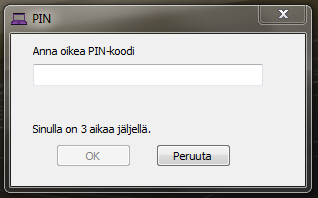 After you have inserted the SIM card and the flash drive connected to the computer, the connection software to install. Installation takes usually only a few minutes, then the LTE stick can be used immediately. 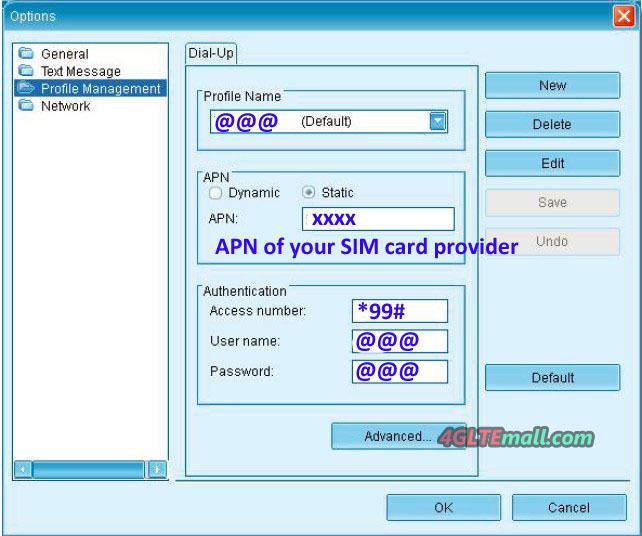 If the PIN protection is enabled SIM card, you will be prompted to enter the PIN. 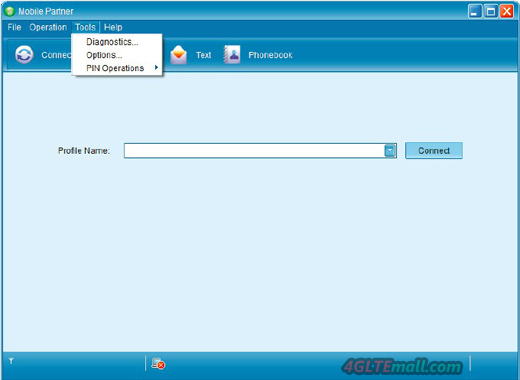 Other settings do not normally need to be made, the connection software detects the inserted SIM card and automatically configures the matching connection parameters. If there are two different APNs with a provider, you can select them before joining in a dropdown menu. 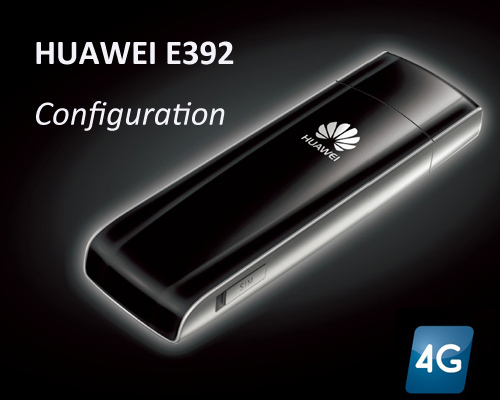 By clicking on the “Connect” the Internet connection is established – the Huawei E392 will select the fastest available network. 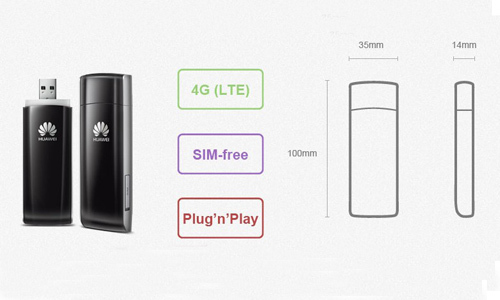 Under the LTE network, HUAWEI E392 could reach speeds of up to 100 Mbit/s download and the upload speed up to 50 MBit/s. Huawei E392 is not only suitable for all German LTE networks, but also in other countries, such as in Scandinavia and in Australia. When the stick is used in the UMTS network, based DC-HSPA + the speed could reach up to 43.2 Mbit/s- provided at the current location, this speed is also supported. In my test, I was able to achieve in the download about 52 Mbit/s in the Vodafone LTE network in the UMTS network of Telekom there were at least another 30 Mbit/s The high data rates are not only marketing, but with matching fare quite well in practice achievable. The reception of the Huawei E392 is not quite as good as that of the Vodafone K5005 (or Vodafone K5006 ) or by Telekom Speed Stick LTE Telekom. while the telecom Speed Stick LTE 4G connection is possible, it shows the Huawei E392 3G networks only as available. In my experience, this is also due to the Huawei E392 can’t be rotated into a vertical position where the reception is usually a bit better. If you live in an under-served area, it is advisable to use an external antenna. For it provides the LTE stick two connections for two separate external antennas or MIMO antenna with two antenna connectors – depending on use case. 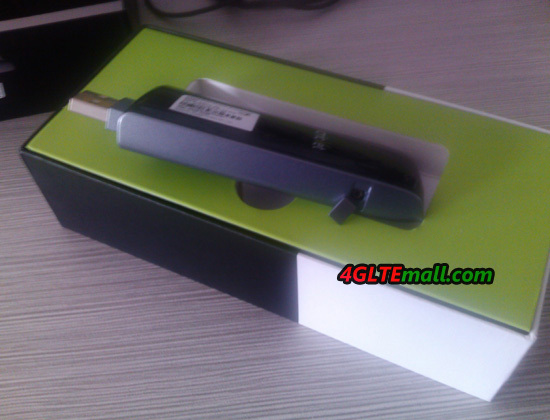 Finally, we can see that the Huawei E392 definitely a good LTE stick. Especially for global travelers, HUAWEI E392 could support all major bands and frequencies; it’s a good companion to go all over the world. The preinstalled software can convince with easy operation and quick setup. 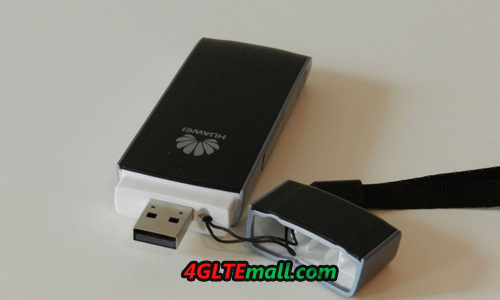 Unlocked HUAWEI E392 4G LTE modem is a good gadget a enjoy 4G network. Or alternatively, it can keep fast connection under 3g network. Equipped with an alternative connection software, it is also possible to use the Vodafone K5005 with all network operators.